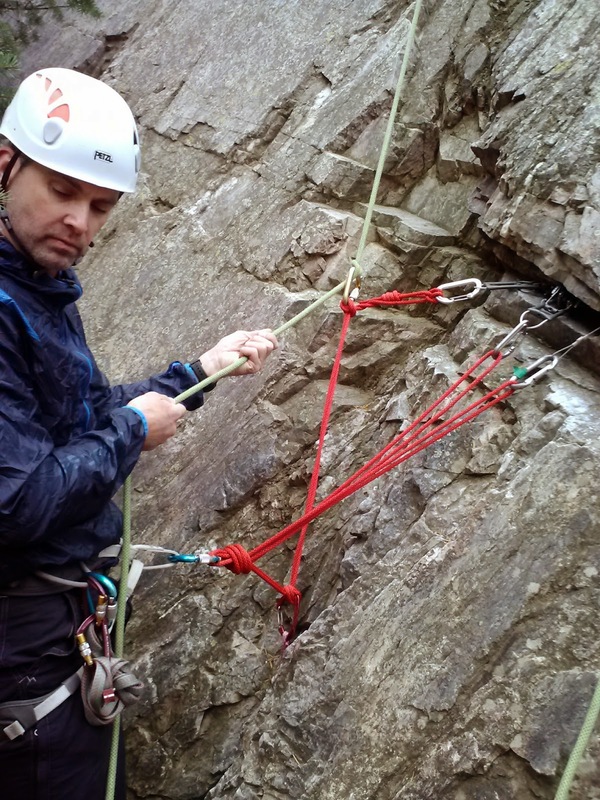 There has been a lot of talk in the industry lately about fixed-point belay techniques. Many guides are beginning to employ these techniques on ice climbs and on sketchy alpine climbs. 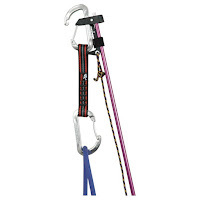 Essentially a fixed-point belay is a lead belay directly off the anchor, as opposed to the more standard belay technique of operating a device off one's harness. The idea is that a lead fall simply doesn't impact the belayer the same way that a lead fall impacts him or her in a normal setting. At a guide training in 2008, a number of our guides experimented with this technique, finding mixed results. We found that both a tube style device and a munter-hitch worked well, but not so much for a GriGri. Assisted locking devices seem to transfer a lot more force into the falling person and without movement in the anchor, this resulted in a painful fall for our leader. At a 2014 AMGA training we experimented with this technique some more and decided that using a tube-style device wasn't appropriate at all. The best application appeared to incorporate the use of a munter-hitch. In the photo above, we built a separate anchor from the anchor the climber was belaying on. We found that when an individual took a leader fall, it was easier to manage if your hands were far away from the munter-hitch. If your hands were close, you got pulled up into the anchor more easily. Additionally, the fall was greater because the anchor moved up substantially before catching the falling climber. In the photo above the belayer has just held a fall on a fixed-point system. This system with a piece designed specifically to deal with the upward pull was easier to manage. So why would you use this system? It is a very guidey thing to do and it does require one to learn a new belay technique, so it doesn't make much sense...unless you're working with significant weight differences in a multipitch setting. 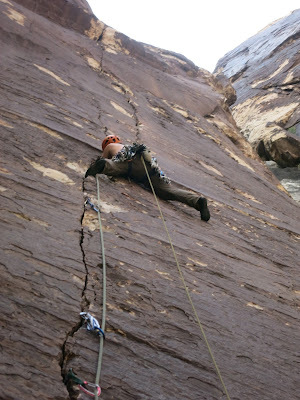 If you intend to take children or small teens up a multi-pitch route, a leader fall may be so dramatic that they get pulled into the anchor and let go. This negates that possibility. --This is a tough weekend for camping in the desert. Make plans accordingly. --Over at Semi-Rad they have the perfect chart comparing skiing to the holidays. You can check that out, here! 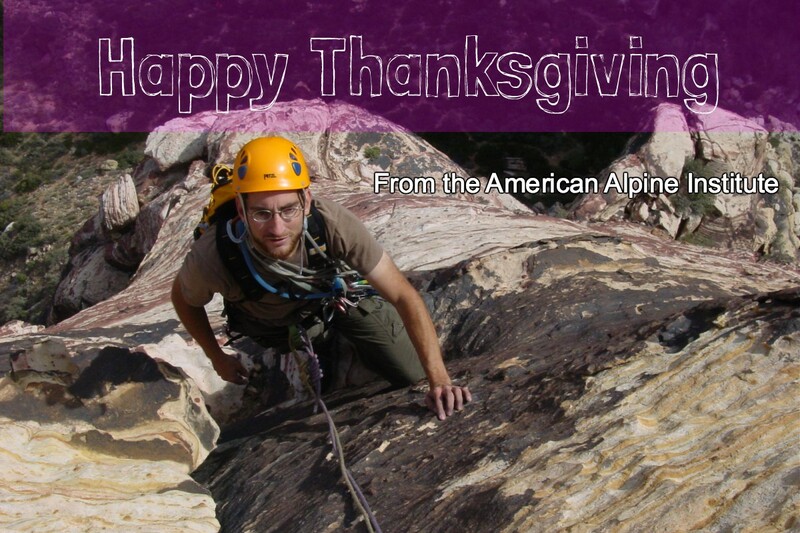 --AAI was featured in an article this week about ice climbing. Check it out! --The Seattle Times is reporting that, "A forgotten easement could have severed the Pacific Crest Trail, which extends from Mexico to Canada along the crests of several mountain ranges, including the Cascades in Washington. Most of the trail weaves through public lands, but about 10 percent of it is owned privately." To read more, click here. --It appears that Niels Tietze died in a rappelling accident on FiFi Buttress in Yosemite on Friday. Niels was a well-known Yosemite climber. Here is a short film in which he and his partner complete a big link-up in Yosemite. To read more, click here. --SF Gate is reporting that, "A San Diego man is recovering after being seriously injured in a fall while climbing Yosemite's Half Dome earlier this month. Alex Doria told ABC 10 KGTV that his foot slipped, sending him tumbling 50 feet down a sheer granite face on the iconic crag. The fall broke his back, foot, wrist and ribs." To read more, click here. 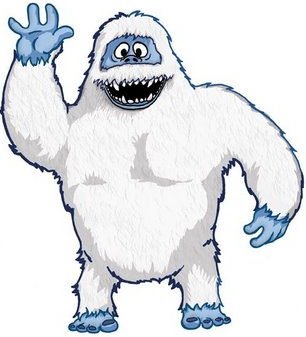 --Snowbrains is reporting that, "According to the Sierra Avalanche Center, 3 backcountry skiers triggered and were caught in an avalanche in Hourglass Bowl on Tamarack Peak in the Mt. Rose area of Lake Tahoe, NV yesterday. It’s being reported that the skiers caught in the avalanche were slammed against rocks and trees and that one of the skiers may have broke his ankle." To read more, click here. --A herd of nearly deer appears to have fallen near Bishop Pass. They appear to have slipped on ice while making their way to their winter grounds. Most of the animals were seriously injured or killed. It's not clear why this happened. To read more, click here. --The Scenic Drive and the Red Springs Parking areas will close at 12:00pm on Thanksgiving in Red Rock Canyon National Conservation Area. Those already inside the Scenic Drive may stay until the Conservation Area closes at 5pm. --Here's a piece on all that's new in the Colorado ski industry, from new lifts to new programs, to better transportation options. --There is a bill in Congress to gut the Antiquities Act. This is the act that allows for the creation of National Monuments. To take action against this congressional action, click here. --Access to a popular climbing area in Austin is under threat. To read more, click here. --The Battleboro Reformer is reporting that, "a Connecticut woman is suing Mount Snow after her husband died during a snowboarding trip there early last year. Arthur David Deacon III was 56 when he fell and hit a tree while snowboarding at Mount Snow on Jan. 24, 2016, according to a complaint filed in U.S. District Court for the District of Vermont. That morning, the Simsbury, Conn., resident took a chairlift at the resort to access Ripcord, the "steepest and most difficult trail on Mount Snow," the complaint states. He had snowboarded down the trail several times before, according to the complaint." To read more, click here. --The UIAA has recently published an article entitled, "What You Need to Know about the UIAA Ice Climbing European Cups." This is a breakdown of the upcoming events. To read the article, click here. --Here's a cool story on the Mt. Everest Biogas Project...essentially a project that allows solar toilets to change human waste into fertilizer. --There are now six states with Official Outdoor Recreation Industry State Offices...! First and foremost, ice climbing is a sport where falling is NOT acceptable. Sure, it's okay to fall on top-rope, but it is definitely not okay to fall on lead. In some rock climbing situations, it's okay to fall on lead, but even there one can get hurt. With twenty-four sharp points on your feet, and five sharp points in your hands, there is a lot that can puncture you or catch on the ice, forcing a limb to bend in a way that it wasn't meant to bend. The placement of gear in ice climbing is meant to keep you from taking a ground fall. It is not meant to keep you safe in a small fall. Leaders should be comfortable on the terrain that they are leading prior to climbing a given pitch. There is nothing wrong with top-roping at the grade until you're comfortable. Leading adds a lot of extra stressors. One has to place screws, think about where the route's going, etc. Top-roping will also help with technique. Gadd points out that many of the climber's tool placements are subpar and that his footwork is terrible. One should practice clipping into the tool. There are many ways to do this. At one point in the video, we can see one of the climbers that assisted the injured showing them how to deal with such a situation. If you can clip into the tool, then you will have the ability to place a screw. 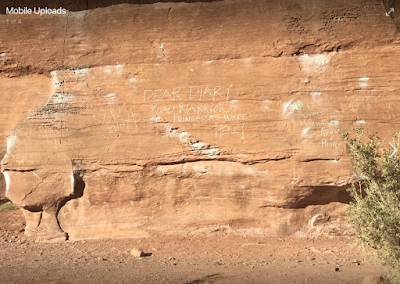 In Gadd's response the video, he writes, "stop before you get super pumped, put in a good screw, reset, maybe back off if you can't climb the pitch without getting super pumped. Or, climb it in five-foot sections putting in a screw and hanging; I have FAR more respect for someone who does that than gets pumped and falls off. If you're super pumped stop, reset. No "free" pitch is worth getting injured for." The belayer talks about putting slack in his anchor system so that he can easily move out of the way if there's icefall. He should have built his belay in a place where there was no icefall to begin with. In a single pitch setting, this is very easy to do. The belayer is also belaying the leader with a GiGi. 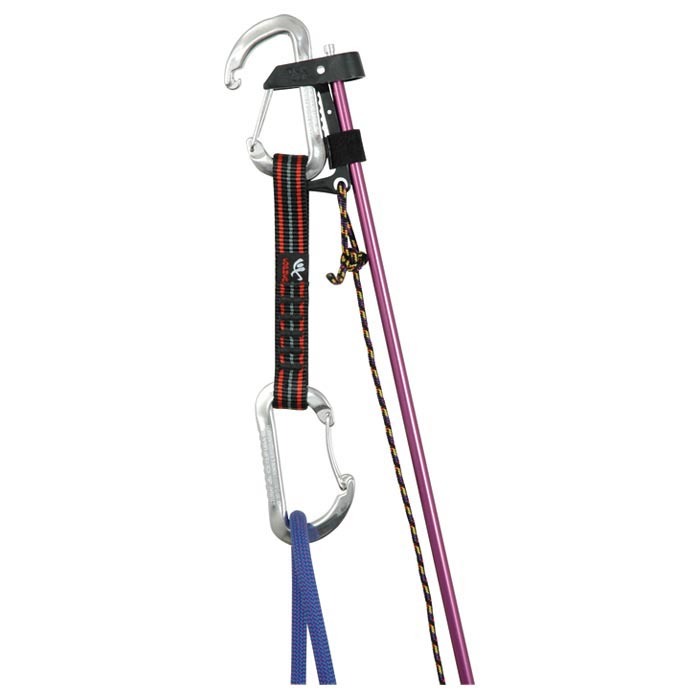 This device is not designed to belay leaders. The climber is wearing a Black Diamond Bod Harness. It appears that the harness is not double-backed. He is very lucky that he didn't simply slide right out of his harness after the fall. People make mistakes in the mountains. I've made them and you've made them, too. We all have. But if you're reading this right now, you got away with your mistake. This guy was also able to walk away from his. And indeed, it is likely that this video's existence on the internet will help him to grow as a climber. But how could I have a rope prior to the first bolt? Easy. I stick clipped it. And that stick clip saved me from a hospital visit. Stick clips are an important part of sport climbing. 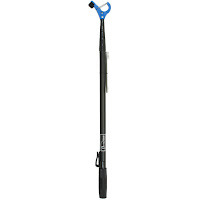 These are specially designed poles that may be used to clip the first bolt with a rope prior to climbing the route. These devices may be purchased from many different climbing companies, they may be made out of homemade supplies or they may be "McGyvered." The concept behind a stick clip is simple. You have a pole that allows you to clip the first draw to the first bolt with the rope prerigged through the bottom carabiner on the draw. Then you may be toproped through the starting moves of the climb. Homemade stick clips are relatively easy to make. I bought a painters pole and a placed a spring clamp a the end. 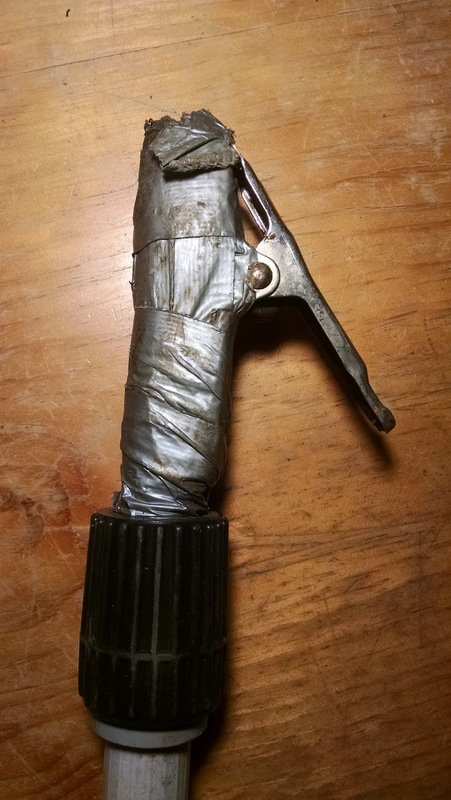 I duct taped this securely on to keep the spring clamp in place. 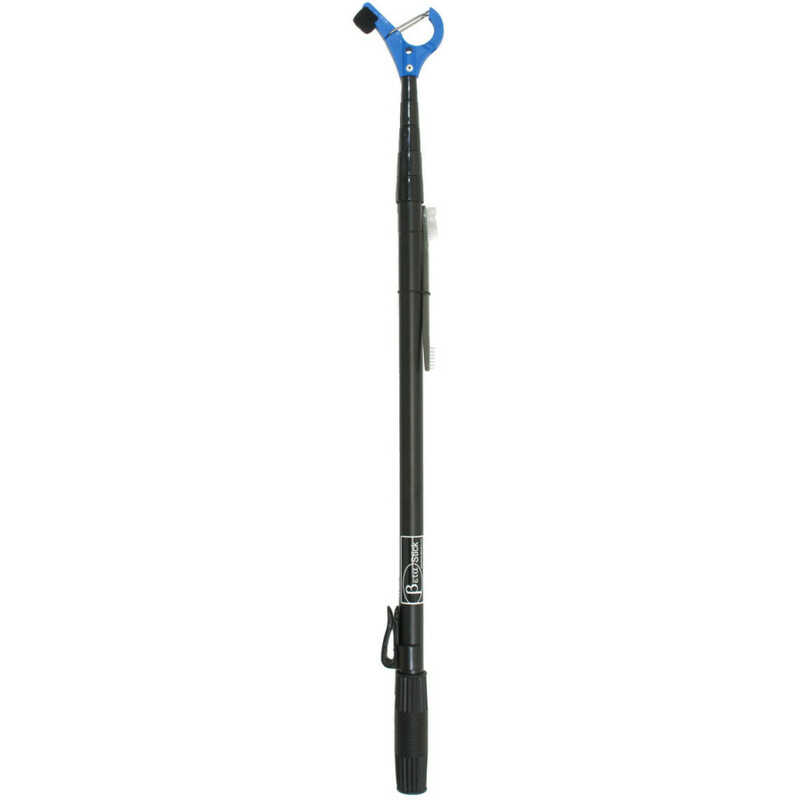 Alternately, some people use hose clamps to keep the spring clamp in place at the end of the pole. My well-loved homemade stick clip. My stick clip wasn't designed with a means to keep the carabiner open. 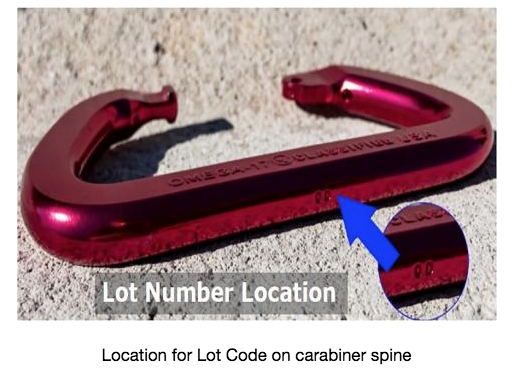 Instead, I just push the carabiner against the bolt until it clips. --Two snowboarders went missing on Sunday just outside the Mt. Baker Ski area. Bellingham Mountain Rescue worked with the Sheriff's department to search for the two men, identified as Jake Amancio and Drew Lenz. Storm conditions have made searching difficult. To read more, click here. --In honor of AAI guide and splitboard athlete Liz Daley, AAI worked with the Liz Rocks foundation to provide a scholarship to a young woman over the summer on one of our Leaders of Tomorrow programs. 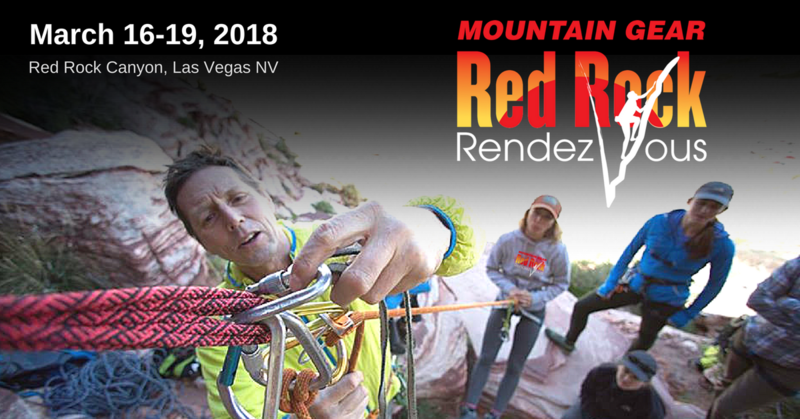 On Friday, November 17th, there will be a fundraiser to help get more disadvanted youth out into the mountains and to help make them future outdoor leaders. To learn more about the fundraiser, click here. To see a video of last year's recipient, click below. 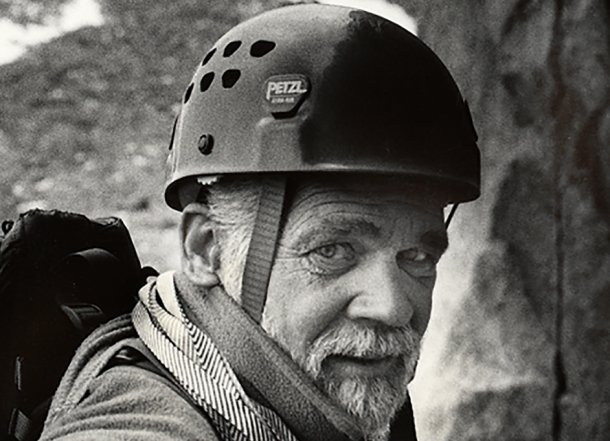 --Lowell Skoog is well-known for his climbing and skiing exploits. 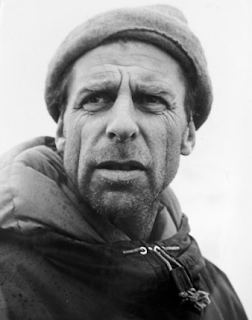 But he is perhaps even better known as a mountain historian. The Seattle Times wrote an excellent profile of Lowell, touching on not-just his adventures, but the tragedy he's lived through... To read the article, click here. --The Mountaineers are reporting that, "Last month, we invited you to join us in contributing funds to save a section of the Lake Serene Trail from logging. This month we’re happy to report we met our goal! Together we raised $275,000 to purchase the land from the timber company, ensuring that the area is conserved and recreational access is never again restricted." To read more, click here. --Mammoth has been selected as a town that will receive additional assistance in the management of wildfires in the 2018 fire season. To read more, click here. 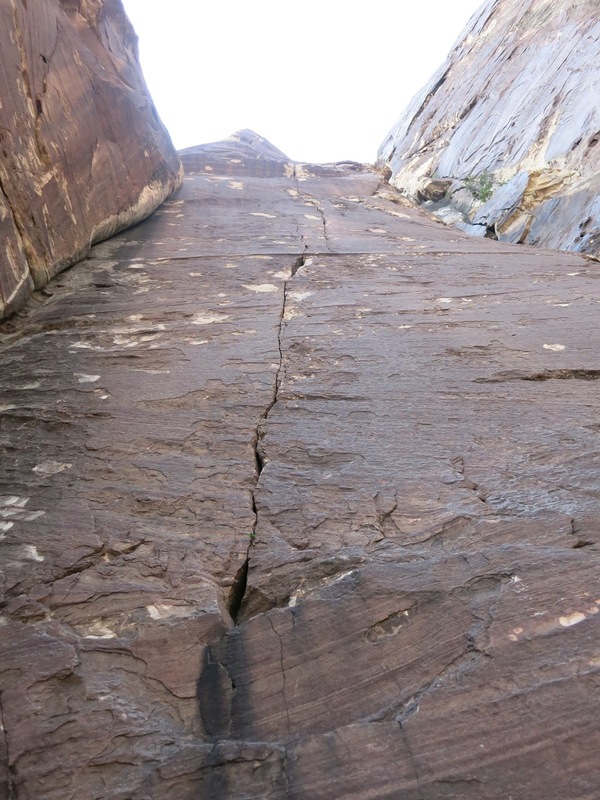 --A lead climber took a fall on Eagle Dance (5.10c, IV) in Red Rock Canyon last week and suffered a broken ankle. High winds kept him from an immediate helicopter evacuation, though he was eventually plucked off the route. To read more, click here. --The New York Times has an opinion about Bears Ears. "President Trump, ever intent on expunging the legacy of Barack Obama, is on the verge of undermining the priceless conservation vision of Theodore Roosevelt as well. After ordering a review of 27 national monuments last spring, Mr. Trump is reported to have decided to greatly shrink two monuments covering millions of acres in Utah, weakening strict federal protections and reopening vast areas to possible commercial use." To read more, click here. --AAI will once again have a large presence at the biggest and best climbing festival in America. 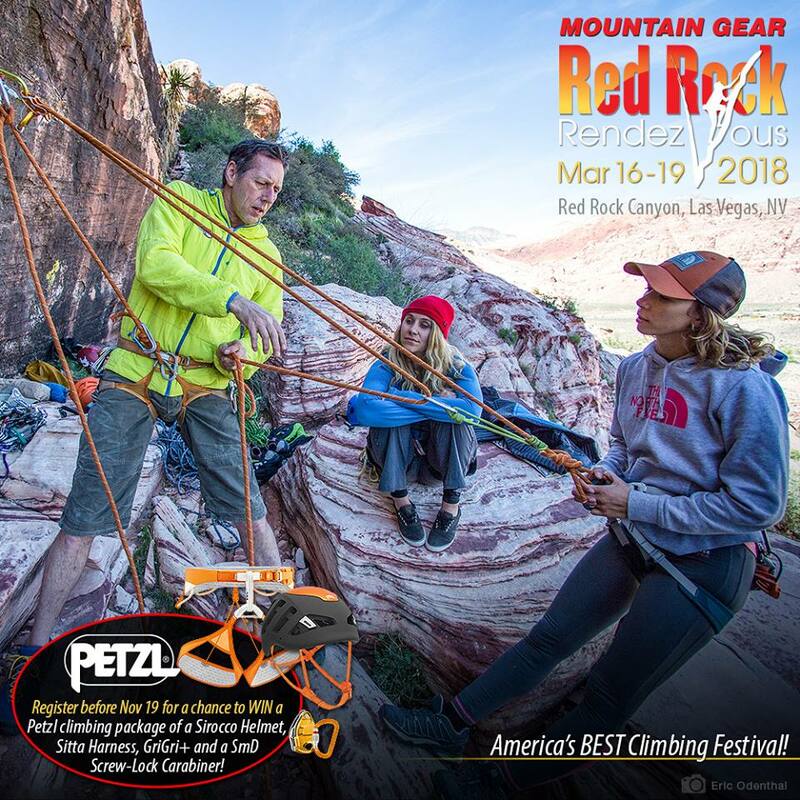 Check out the Red Rock Rendezvous, running from March 16-19, 2018. Learn from our world-class climbing instructors and from the athletes you watch in the climbing movies and read about in the magazines...! To register, click here. --One-handed rock climber Maureen Beck is beginning to make a name for herself. She was featured in a Reel Rock film entitled, Stumped and was -- this week -- featured in an ESPN article. Maureen has successfully climbed 5.12 and her Reel Rock film tells the story of her struggles to work up to that grade. --Arapahoe Basin is opening a new area this winter. The 371 acre expansion will reportedly challenge steep skiers. To read about it, click here. --The Know Outdoors is reporting that, "Marise Cipriani, the 22-year owner of Granby Ranch, is listing her 5,000-acre Grand County–ski and golf resort community for sale." To read more, click here. --AAI Guide Lindsey Fixmer made a successful trip to India's Zanskar Range on an all women's expedition. To read more, click here. --Stacy Bare, a major advocate for veterans in the outdoors, wrote an interesting editorial about the outdoor industry and veterans. Stacy argues that many in the outdoor industry have made a lot of money by selling clothing and equipment to the military. Then he argues that outdoor brands owe veterans. To read his editorial, click here. --Mara Johnson-Groh at Rock and Ice took a look at what's in store for climbers as the climate changes. Check out her excellent article, here. I sat down on the bench next to my partner. We'd just finished a dawn patrol at the climbing gym. And though it was cool outside and even a bit cool in the gym, my feet were shriveled pickles inside my tight shoes. But I ignored it and stripped off my shoes. "Whoa!," my partner said, dramatically waiving his hand in front of his face with one hand, while plugging his nose with the other. "Dude," he said dramatically. "You're feet stink." And they did. Or more accurately, my climbing shoes stunk. It was time to give them a wash. The quick and the dirty of it is that Joe washes his shoes in a washing machine. He fastens the velcro straps down and washes them on warm with soap. When he is done, he lays them out to dry. As winter descends on the Cascades, I find myself thinking about one of my favorite winter alpine climbs in the Pacific Northwest. 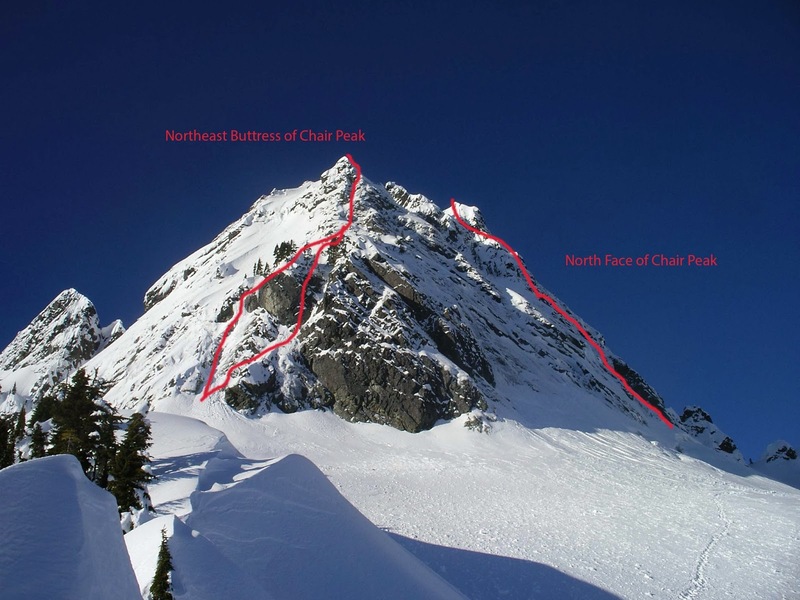 The North Face of Chair Peak is a classic winter ascent that can easily be done in a day. It has a beautiful alpine face that gets covered in snow. The freeze thaw cycle turns the face from powder on rock to a spectacular three pitch alpine line. 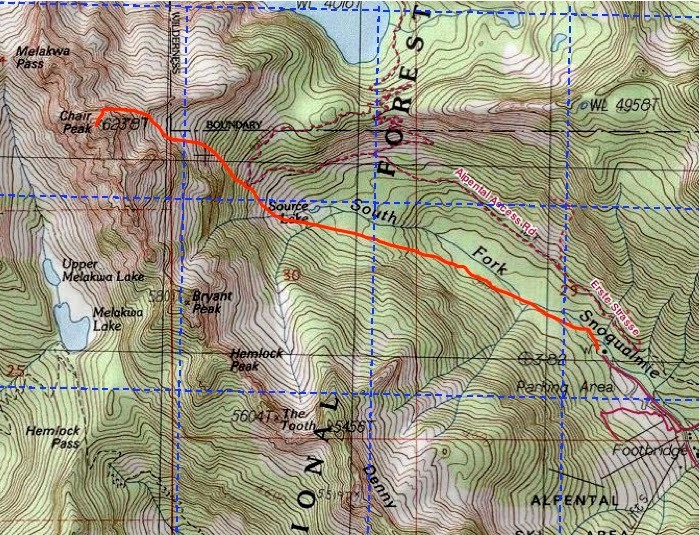 The route is moderate and with the exception of one ten foot step, the bulk of it is between fifty and sixty-five degrees. That one step is perhaps eighty degrees, but it is very short and sometimes isn't even iced up. The first time I climbed the peak, that last section was 5.6 rock. To get to the north face, you must drop over the saddle on the right. The approach to this climb is relatively straight forward. You simply park at the Alpental Ski Area and then make your way up the Alpental Valley to the end, where Chair Peak oversees the bowl beneath it. is a route of a similar grade to the north face. 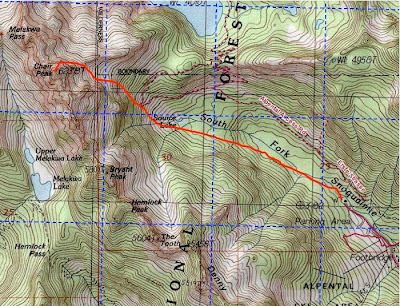 There are two routes that should be considered on the mountain. The north face is the obvious one, but the northeast buttress is just as good. However, the northeast buttress often requires a bit more mixed climbing than the north face. The first pitch of the route climbs up a cool corner and gully on thin alpine ground. The second pitch works it way up steep snow and ice to a tree belay. A climber approaching the tree belay. The third pitch makes its way up more thin terrain to another belay, before the last pitch goes over the aforementioned step up to the summit. The descent off the mountain is straightforward. A couple of rappels bring you down a gully on the south side of the east face. On a short winter day, you really can't beat an outing on Chair Peak! --The Forest Service has a number of entry level jobs available in Washington and Oregon. To read more, click here. --In other jobs news, the Northwest Weather and Avalanche Center is hiring avalanche forecasters. To read more, click here. 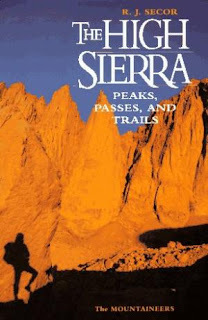 --The legendary High Sierra guidebook author, R.J. Secor has passed away. There is limited information right now, but it appears to be from natural causes. To read some remembrances, click here. --Rock and Ice is reporting that Yosemite, "now has a plan to expand Camp 4 by nearly double its size. Funded by the Recreational Fee Program, the expansion will include 25 new campsites, more parking spaces and a comfort station with showers, according to a Yosemite National Park press release." To read more, click here. 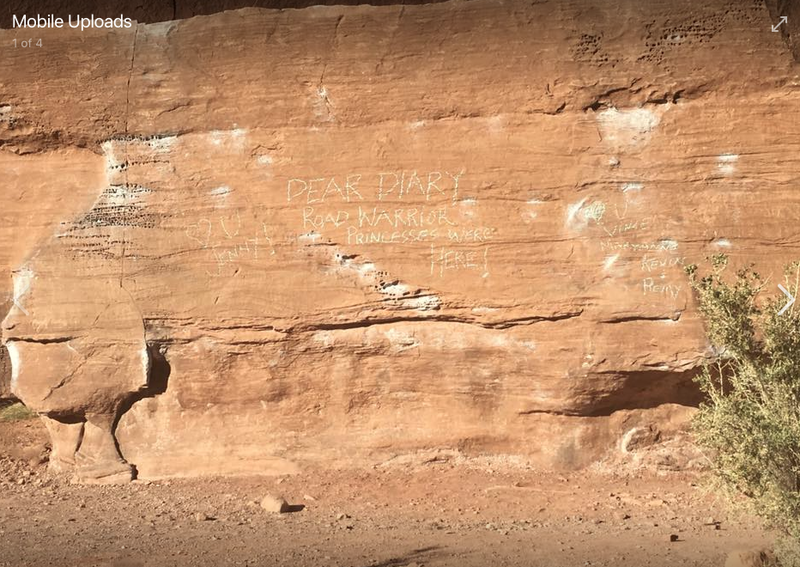 --A hiker took a 40-foot fall in Red Rock Canyon last week. To read more, click here. --The Wilderness Society is reporting that the Trump Administration is recommending the opening of oil and gas mining around Grand Canyon National Park. "The report calls for lifting the ban on uranium mining on national forest lands around Grand Canyon National Park, which would destroy crucial wildlife habitat, devastate the tourism-based economy and put drinking water for regional tribes and wildlife at grave risk. The Grand Canyon watershed contributes drinking water for 25 million people. The recommendation is one of 15 others that affect national forests across America." To read more, click here. 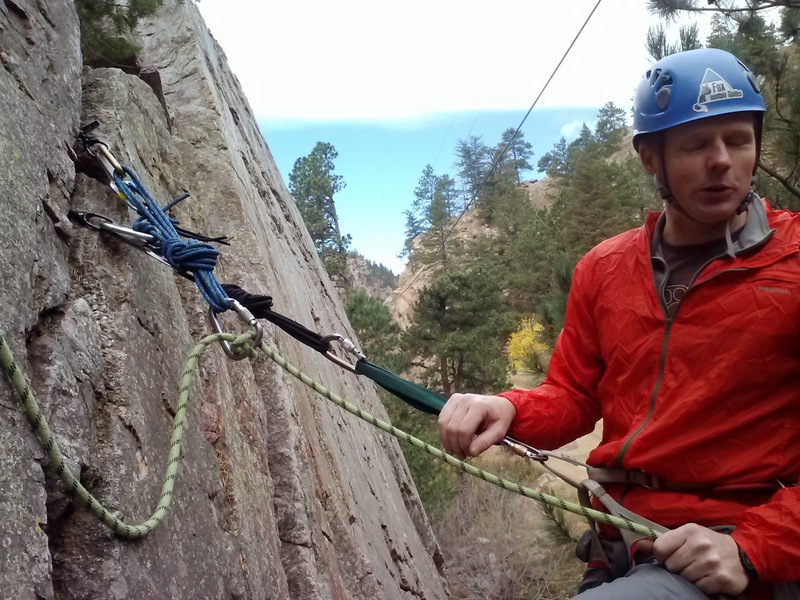 --The Coloradoan is reporting on a rescue in Rocky Mountain National Park that took place on Sunday. "Megan Kies, 31, was climbing the Martha's Couloir route on Mount Lady Washington about 11 a.m. when she was struck by a rock dislodged from above, according to an RMNP press release." To read more, click here. --The Denver Post is reporting that, "A reservation and permit-fee system for the popular backcountry destination Conundrum Hot Springs is the Forest Service’s first concrete step toward managing record crowds in the Maroon Bells-Snowmass Wilderness." To read more, click here. --A party in the Brooks Range of Alaska had a close call with an avalanche last week. To read more, click here. --The Antiquities Act -- the act used to protect public lands -- is under attack. Please take a few minutes using the Access Fund Action Alert page to write to your congressman about this situation. To read more, click here. --We've spent a lot of time wringing our hands at the American Alpine Institute, worrying about a dramatic increase in NPS entrance fees. James Edward Mills at Outside points out that that's not the only thing to worry about in the new National Park Service dynamic. "hat’s most striking about the leaked 2018–2022 strategic plan for the U.S. Department of the Interior isn’t what this 50-page document has to say—it’s what it leaves out. While much of the conservation community decried the proposed increase in admission price at the busiest national parks, few took notice that the new administration has deleted the entire diversity, equity, and inclusion mandate from its plan." To read more, click here. --US Ski Team racers are learning avalanche awareness in Vermont. This is certainly a good thing. To read more, click here. --A new WI 5 has gone up in the Canadian Rockies already. To read more, click here. --Outside is reporting that, "After hiking for more than seven months, 82-year-old Dale Sanders completed the Appalachian Trail on Thursday, October 26, officially becoming the oldest person to finish the 2,190-mile trek. Sanders, known on the trail as “Greybeard,” broke a record previously held by Lee Barry, who set the mark in 2004 at age 81." To read more, click here. --And Outside is also reporting that an 87-year-old just climbed Devil's Tower. To read more, click here. This is a slightly older route. It was put up in 1994, but didn't make it into a guidebook until 2000. The result is that this super classic line was overlooked for six full years. Mani the Monkey has some great training videos on Youtube. His videos are well-produced and offer a tremendous amount of information in a short period of time. Mani created the following video about the advantages and disadvantages of static and dynamic climbing styles. The static style of climbing is to move slowly and carefully, often locking off and carefully finding the next hold. The dynamic style is to move more fluidly with a lot more swing to the body's movement. Many gym climbers find dynamic movement more effective. While outdoor climbers tend to lean toward static movement due to a greater fear of falling and getting hurt. The reality is that each of these movement techniques has advantages and disadvantages. Check out the following video for more!